Expect the arrival of Leslie Knope any minute now, Tech students, as she heads to get her daily delicacy of waffles at the number-one Waffle House in America, located nowhere other than at Tech Square. Tech’s recognition as the number-one Waffle House by Foursquare’s calculations in the nation recently resurfaced and caused surprising reactions from various people. “I feel great. I’ve been here for four years and when I found that out I was like ‘oh my God, I’m going to be on the news!’ When they told me I was like ‘Are you kidding me? Are you kidding me?’” said Shantel, a Tech Square Waffle House employee. Foursquare released their findings, which blew up all over the Internet thanks to Buzzfeed late last month. The social check-in service took the number of people checking in at each of the more than 1700 Waffle House establishments across the country before compiling the results and projecting which establishments were seeing the most customers. “We weren’t expecting it. A news lady just came in one day and asked if we knew this was the most-visited Waffle House. I just said, ‘Oh my God, oh my God,’” Shantel said. 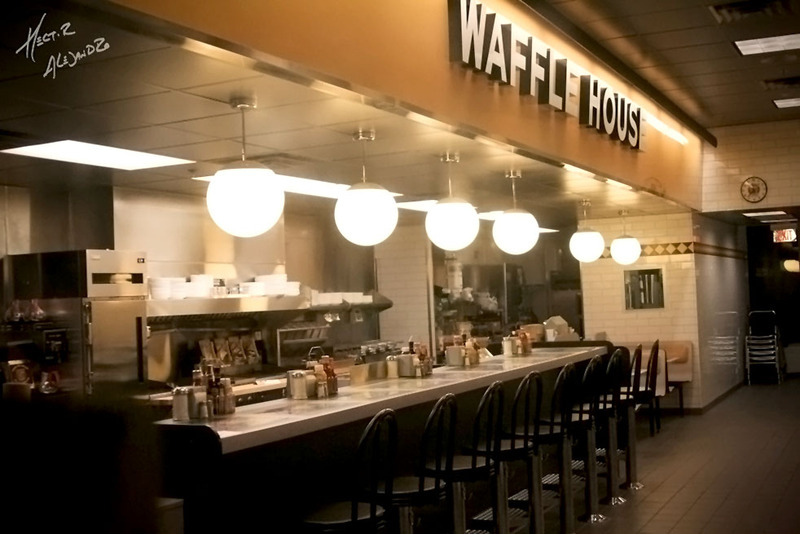 Eight of the top establishments were from inside the Atlanta city limits alone, with the number-one spot going to the Waffle House in Tech Square. Tech often boasts about its rankings, from our spot among public universities to our number of women in engineering majors, but rarely is Tech so proud of a restaurant. Unlike many of the top WaHo’s, the Tech Waffle House is young, opening roughly four years ago in June 2010. Unique to the number-one WaHo is the Tech-centered artifacts scattered throughout the restaurant. That, and the good word runs through the building’s core. Everything else, though, is just like any other WaHo. The never-ending and particularly high influx of patrons at the early hours of the morning. The relatively quick service. The busy waiters rushing to and fro. The cheap, yet ultra-filling food. And the waffles. While the Tech Square location is still in its infancy, Tech holds a deep connection with Waffle House, where Joe Rogers Jr., son of co-founder Joe Rogers Sr., is a Tech alumnus and a prior CEO of the company. The new CEO, Walt Ehmer, is also a Tech alumnus, graduating with a BS in ISyE in 1989. He was recently spotted during last week’s snow storm with Institute President G.P. “Bud” Peterson at the Tech Square location, helping greet patrons and keeping students fed as Atlanta battled the winter storm conditions. Despite Snow Jam, Waffle House kept with its 24-7-365 tradition. The Tech Waffle House has also been very dedicated in promoting other Tech clubs in its first few years, helping sponsor and provide food for events, most notably SAA. Just last fall, SAA and Waffle House unveiled the first-ever WaHo food truck. The WaHo food truck has already been spotted at several Tech events, including the SAA membership kickoff.